Today, I attended the Westside River Rendezvous, a water sampling event put on by the West Atlanta Watershed Alliance, Chattahoochee Riverkeeper, and Georgia Tech's Serve-Learn-Sustain. The idea behind the event is to have many locations sampled in a single day, to have a comparison across the region so any abnormal readings can easily stand out from the rest and some areas that aren't tested regularly can be. I learned that this year the various teams were going to collect samples not just from the Proctor Creek watershed, but also from the Utoy Creek and Sandy Creek watersheds. After our intro to the local watersheds, there was a quick training session. 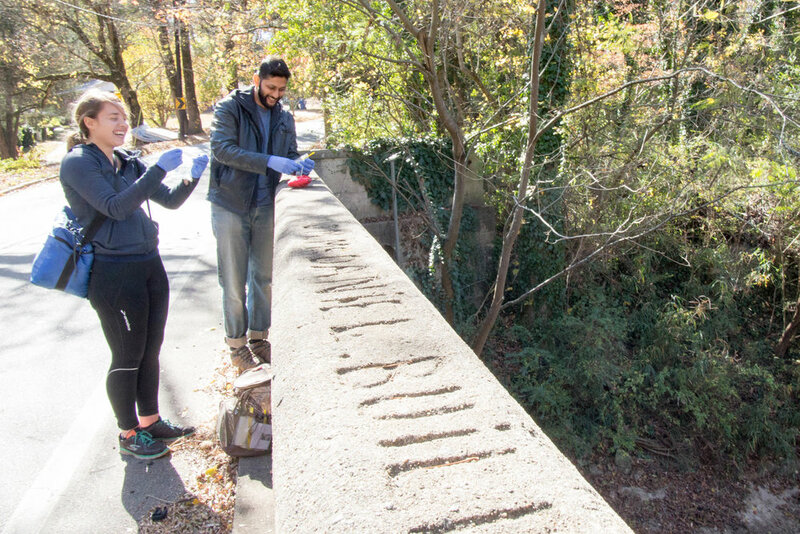 There was a demonstration of how to collect the water samples – either from a bridge or from the creekside – and an explanation of what other data we would collect on the forms included in the collection kits. After the training, we split up into groups of 2-4 people each. Each group was tasked with gathering samples from one or more sites. The two samples my group was assigned were in the Utoy Creek watershed. Our group was also given some equipment to take some additional measurements with. Therefore, we were also given a primer on using the measurement equipment. Both of our samples were supposed to be able to be collected from the bridge, by dropping the sample down on a rope, but since the line on our other equipment for the measurements was much shorter than the rope for the water sample, we needed to get down to the creek at both locations. We tramped down a steep slope overgrown with kudzu and took our samples and measurements. At this location, we decided to collect our water sample from the bridge and then get the measurements from below. Once we were done with the collection, we returned our samples to Grove Park Recreation Center to be analyzed. All of the volunteers were given free pizza and t-shirts in appreciation. 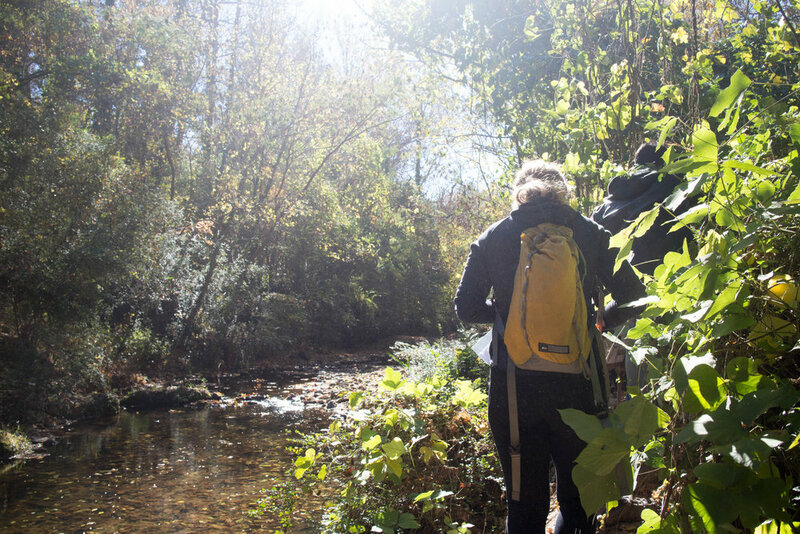 If you want to get involved, you can attend the next River Rendezvous or collect samples regularly by participating in Chattahoochee Riverkeeper's Neighborhood Water Watch program.